Founded as a network of Oxfordshire’s chambers of commerce, OTCN (The Oxfordshire Town Chambers Network) now covers town chambers, business parks, shopping centres, business networking events and other membership organisations and business groups across Oxfordshire. Opportunity for Oxfordshire Employers to support a Mentoring Initiative for young people aged 16-24. Time commitment minimal – reward HUGE! 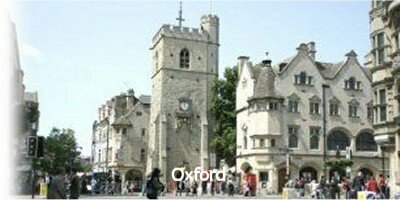 The Oxford Living Wage is a voluntary wage rate for employers in Oxford and its surrounding area. It is set by Oxford City Council, in conjunction with the Living Wage Foundation, and from April 1st 2019 is £10.02 per hour. There is no associated charge. Details here. The six local authorities in Oxfordshire have committed to producing a joint statutory spatial plan for Oxfordshire covering the period up to 2050. This plan will provide a strategic framework for the delivery of new homes, economic development and the anticipated supporting infrastructure the County needs to 2050. Details here. Help for retailers with new rate relief. An estimated 353 businesses in West Oxfordshire could see their rates bill slashed by a third to help them through the challenges from changing retail habits. Retailers with rateable values of £51,000 or less could be eligible and will be notified by mid April. There is more detail from The Department for Business, Energy and Industrial Strategy here. Innovative ideas to change the world. The latest round of Innovate UK Smart Grants has just opened. Innovation can be hard - it can take a lot of time and resource to get an idea off the ground, find a suitable market and develop new products, services and processes. They are not limited to a particular industry or technology area and are designed to enable business growth. Details here. Innovation Support for Business Phase Two (ISfB2) is now live! Funded by the European Regional Development Fund (ERDF), ISfB2 assists the development and commercialisation of innovative business ideas within small and medium-sized enterprises (SMEs), as well as enhancing research and innovation infrastructure in Oxfordshire. Since 25 May 2018, the General Data Protection Regulation (GDPR) applies in the UK. The data protection act has a European-wide upgrade and is now the GDPR. The ICO (.gov site) has a good section covering the major points businesses have to worry about. See it here. If you handle a customer's personal data you may need to be registered depending on how you process that data. With thanks to Computer Repair Oxford. For the most current opportunities please see here.